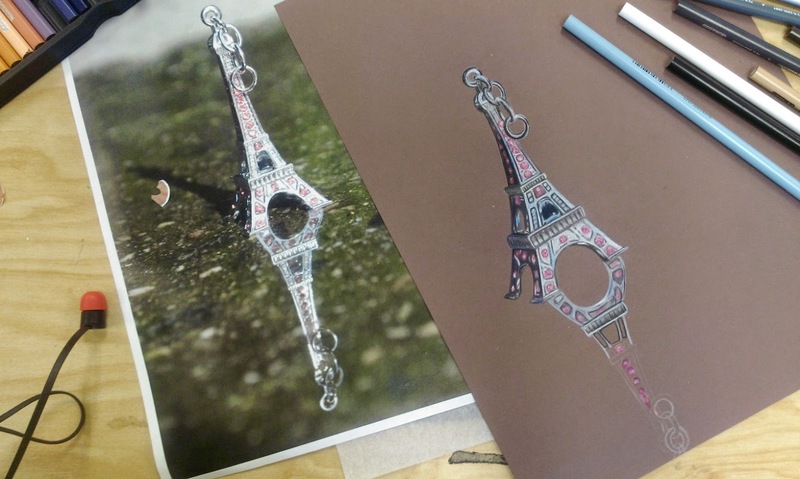 For this Prismacolor project I chose to do an Eiffel tower key chain I got while visiting Paris over the summer. 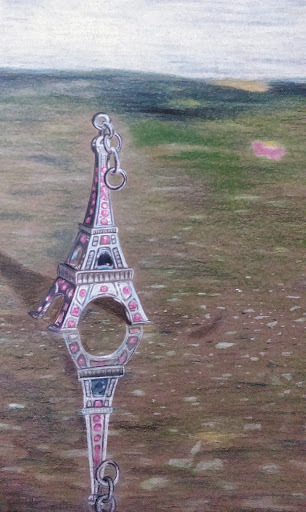 To incorporate reflections I put it in a puddle and took at an angle that showed a really clear reflection. It was kind of hard to start because of how bright the metal was reflecting and I knew I wanted to capture that. I started with an outline of the tower and just worked my way up putting in the whites and then adding shadows of blue, purple, and pink. For the background, I laid down a layer of brown and green and layered whites and blacks over to capture to stone look. In the photo, only the center band of the picture was in focus so I used a blender pencil over the top and the bottom of the page to blur the stone. 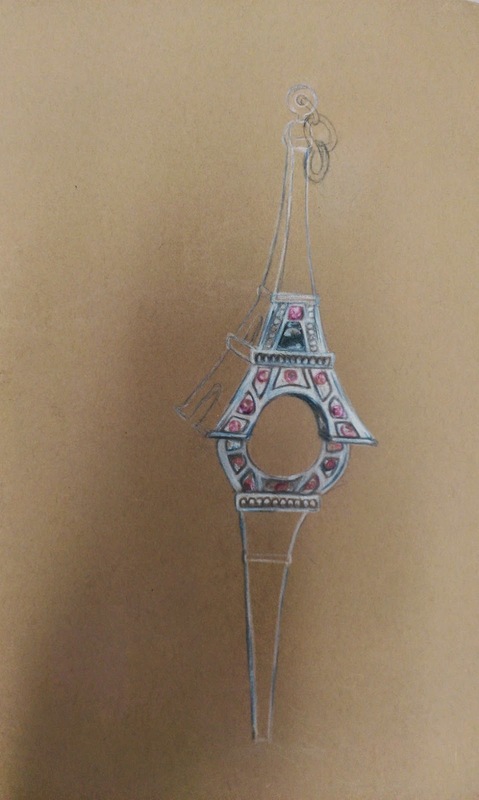 The chain was probably the hardest part for me because in my practice drawing I hadn't liked the way I had drawn it so it made me work even harder on it in the final piece. Now the chain is my favorite part because I love the highlights I put and the contrast.